Who hasn’t heard of Fender? A brand with almost 75 years of history in making instruments, Fender has dazzled the public and professionals alike. Fans of Fender include renowned virtuosos like John Frusciante of Red Hot Chilli Peppers, Jeff Beck with Yardbirds and David Gilmour of Pink Floyd fame. Veteran musicians and unseasoned enthusiasts know the brand by sight and name, whether for its iconic Stratocasters, snazzy jazz guitars or melodic beginners’ strings. Fender delivers; even step further within this type of instrument like the FA-100, a touch above the traditional beginners’ guitar. Want to know about this amazing Fender instrument then keep reading this Fender FA-100 review. In this article, we are going to be taking a look at the FA-100 to help you make your next guitar purchase decision. The FA-100 is the best of the best when it comes to learning how to play for first-timers. Not to mention, it is an absolute beauty to look at, as well as feel. Simplistic, without frills and pure in character, quality, and charm. Coming in different colors – natural, black, sunburst and natural satin, it is minimalistic, a personal favorite as well as an idea very common at the moment. Made in jumbo or ‘dreadnought’ fashion, its full body allows maximum volume, and a bolder, rich tone when strumming. Not to mention it’s clean, uncomplicated structure allows it to be less daunting and cozy in the arms of an aspiring player. The natural rosewood bridge is crowned with a synthetic bone handle, embellished by chrome hardware and laminated spruce top with X bracing. This amendment is very welcoming compared to the plastic you’d notice on most alternative beginner guitars. The neck is a simple truss rod built for a few neck adjustments and keeps your tuning easy, fresh and secure. It has the standard smooth 20 finger fretboard, dotted by dot inlays. Made with quality laminated spruce, and basswood, few others can boast the smoothness, richness, and density that comes with the great guitar’s structure, form, and design. It is covered with a gloss from top to end that keeps it looking that shiny and fresh. Finally, the strings are Fender’s own Dura-Tone strings, a well-seasoned favorite among professionals and beginners for their solid stable quality and ease of finesse. Let’s move on to the crux of the guitar – the sound quality. Hailed by pros and amateurs alike as arguably the best guitar for beginners, the FA-100 has clear bass heavy tones, perfect for those nights you want to spend strumming along with your mates. Fretting is comfortable and relaxed, requiring no substantial effort, perfect for those younger aspiring Dave Mustangs out there or even a smooth John Mayer. However be prepared for an occasional jagged strumming noise, this is something that cannot be avoided in most beginner models. The overall sounds that come from the Fender FA-100 are distinctive, as it is not usually found in beginner models. The sound quality is on par with Fender’s slightly more expensive lineup, thus showcasing Fender’s incredible quality control across the board. It is by no means a Player Stratocaster, but it may be just what you need as it offers an excellent robust sound projection for the materials, accompanied by the X bracing, making the total sound clean, bright and melodic to the ear. For playability, it may take some getting used to, but as it is aimed at beginners, it will stoically help you develop those strong, calloused muscles and nimble virtuoso fingers that are guaranteed to leave your crushes, enemies, and even your fickle haughty cat swooning at your crooner’s touch. Here’s the interesting part of this Fender FA-100 review. All of above Fender offers you its gig bag with backpack straps to keep the dust, termites, and negligence away from your trusty guitar. Not to mention scratches. An electric tuner that clips onto the guitar, to keep your FA-100 dreadnought tuned in and maintained in every possible environment (does so by using vibration technology) – an essential for every beginner guitarist and a strap, strings and pick that will aid in swinging that wandering minstrel’s instrument on to your back and taking it out for that cozy campfire night with stars that are just begging you to play. Capping off at less than 200 dollars for the whole set, this marvelous gem is a bargain for the discerning buyer. Fender does a brilliant job playing to its strengths with the FA-100, clearly geared to the learning market with its sound quality, tone and price. Most beginners guitars are priced at around 400 dollars, some even soaring up to 600 to 700 depending on brand. With Fender’s FA-100, you are getting its premium brand status as well as its long history in building great solid guitars at less than the competitors cost in the traditional market. 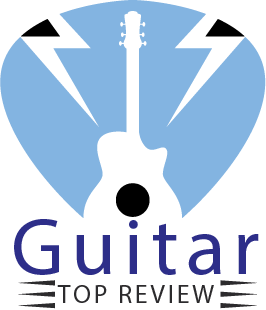 In case, if you are thinking about getting a nice and affordable acoustic electric guitar, check out our Acoustic Electric Guitar Review. 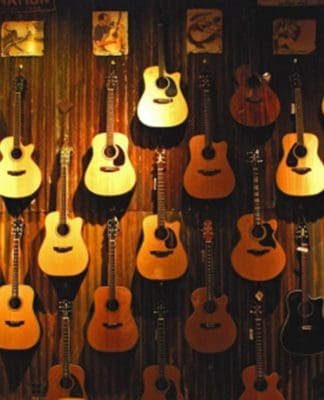 Buying your first acoustic guitar is a daunting experience for sure. A first guitar is not solely an instrument. It is your first best friend accompanying you on your musical journey. It will carry you through your formative years as you’re building skills, set you up for your long-term aspirations and be a sweet memory all your life. At the end of this Fender FA-100 review we want to say that, please do your research, look into your favorites and maybe give them spin down at your local guitar store. You’re thinking of buying this guitar now because you have got untapped potential – whether that’s for a dream career, an exciting hobby or solely because you want to try to learn something new – music will hopefully always be a part of your life forever and so will the Fender FA-100 if you choose to make this dreamy companion yours!